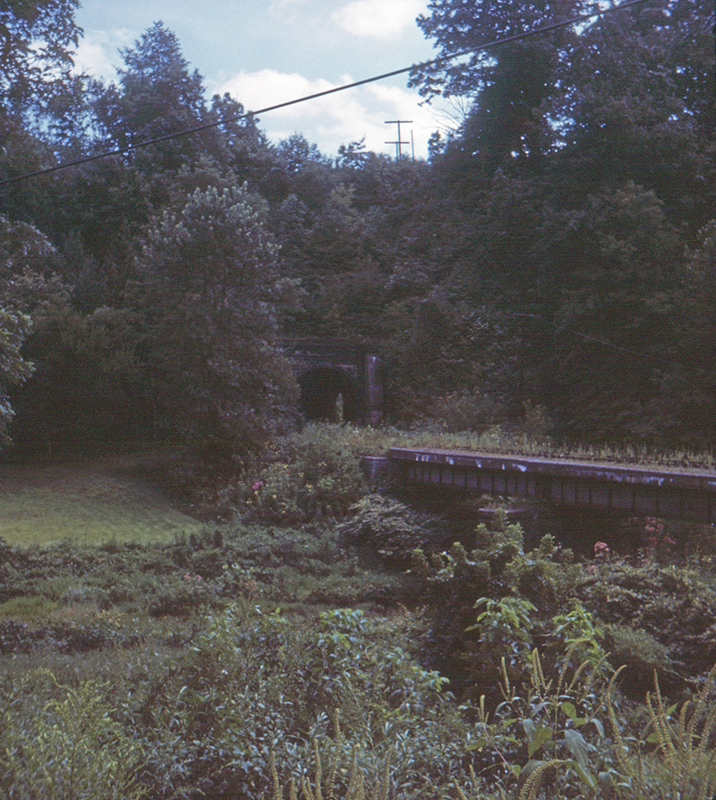 A second look at the Baltimore & Ohio's Marshall Tunnel northeast of Hundred, just south of Cameron, West Virginia. This view is from U.S. Route 250. The bridge in the foreground crosses Pennsylvania Fork Fish Creek.